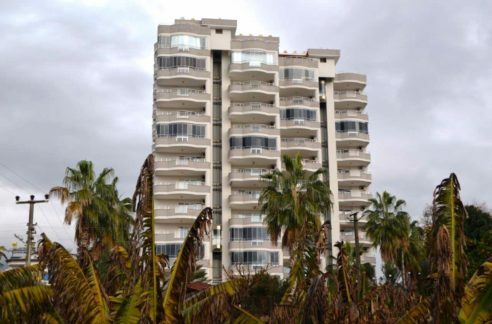 Cheap apartment for sale in luxury residence in Alanya Turkey 50.000 Euro. 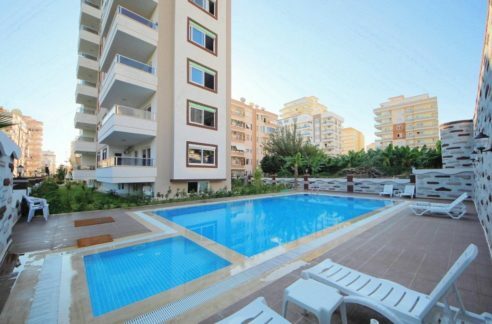 2 room, 1 bathroom, 650 m to beach, 45 m2, 2nd floor, year built 2012, lift, swimming pool, furnished, white goods, city center, balcony, fitness, parking, air conditioned, resale/second hand flat. Is located in a one blok residence at the 2.fllor with a view to the bazaar, mountains and city. Evin there is a nice view to the antique castle. 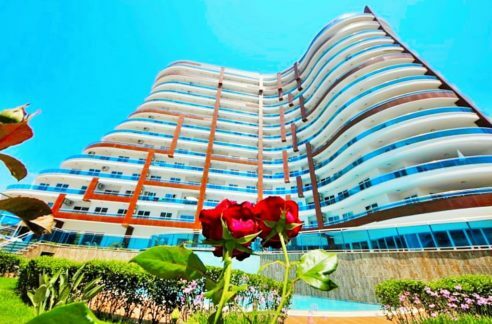 The residence gives all luxury comfortableties to the residents wit centrum and beachclose location evin freetime aktivities like pool,fitness,sauna, caretaking, security…The property is also very ideal apartment for people they want to rent it during the saison weeks. This can be easly rent a week for minimum 200 Euro’s. We can cooperate you by this action. The Apartment is on the 2.floor and has 45 sqm livingspace with a livingroom, american kitche, bedroom, bathroom and balcony. We offer the property inkluded all furniture, white goods and aircondition system. By purchase the property you are able to pay 3.57 % broker comition! Please contact for more details. 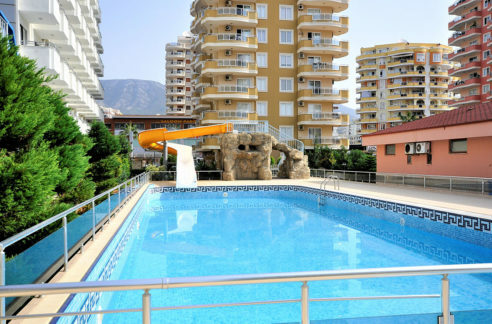 Cheap apartment for sale in luxury residence in Alanya Turkey 50.000 Euro. 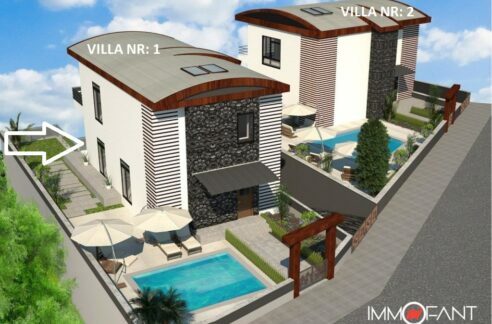 Alanya Real Estates Alanya Real Estates » Properties » Apartments - Flats » Cheap apartment for sale in luxury residence in Alanya Turkey 50.000 Euro.